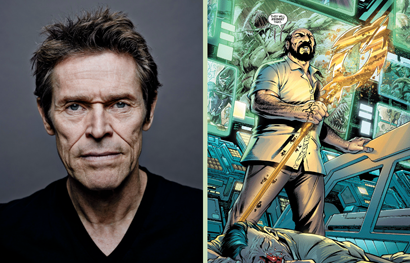 One other big piece of Aquaman movie news that dropped last week was that 1)Vulko will be in 2017's Justice League, and 2)big time thespian Willem Dafoe will be playing him! Aside from the casting news, which is surprising in itself, I'm really floored to learn that Vulko will even be in the movie! Just how far into the Aqua-verse is Justice League going to get? The addition of Mera was a pleasant surprise, now we're getting Vulko too?!? Can The Scavenger be far behind? I can't get the image of Vulko in a Marilyn Monroe dress out of my mind!